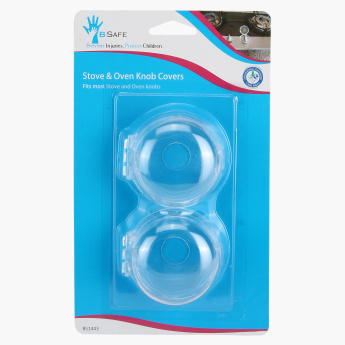 B-Safe Oven Knob Cover - Set of 2 | White | Protect your little one from danger in the household. Ensure extra protection in the kitchen by getting these knob covers for the oven. These covers are easy to install and remove, along with preventing accidents that can potentially harm your baby.